NME’s Albums of the Year 2016 came out yesterday (November 24) and the reactions have been curiously divided. Who knew? A lot of people are delighted that The 1975 won the top spot; some are less pleased. Here we collect our favourite reactions – good and bad – to the full list of 50. 1. The 1975 are at Number One! @NME You have been my musical bible for years. That has come to an end after seeing your top records of 2016. What a joke. Rav has never even heard of The 1975. Get ‘The Sound’ in your ears, Rav! 2. Wait, weren’t The 1975 were worst band at the 2014 NME awards? @the1975 @NME from worst band to album of the year. this is great. 3. Where are The Last Shadow Puppets? Some people were confused that we hadn’t included The Last Shadow Puppets’ album – one we like very much. But loads of amazing albums came out in 2016 and getting them all in was like trying to put the toothpaste back in the tube. I didn't see "Everything You've Come to Expect" in the @NME top 50 albums of 2016. So, tell me, did you guys break up with Alex Turner? Been snubbed by @nme yet again, not one of the albums of the year. Granted, we haven't we released an album, haven't even written one. @bigshitxtalker @NME @rihanna mte, they're trash. The list is a complete mess. 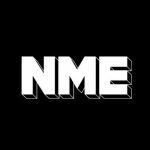 @NME yes! @QueensChristine Chaleur Humaine. Retired my copy of @Nme to the bin when A Moon Shaped Pool didn't land inside their top 20 albums of the year. Jokers. Thanks for all your reactions to the list. Keep ’em coming in the comments below.